In the battle of the Sirvintos, they encountered Polish aggression and stopped them pushing deeply into Lithuania. In the spring of 1925, the meeting of the intelligentsia and society of the Širvintai district was summoned at the initiative of I. Juodenikis (Juodeskas), the border guard police of Sirvintos. The Committee for the Slaughter of Volunteers in Independence Battles has been set up. In 1926, the Committee collected about 10 thousand pages of donations. Litas, part of which was spent on five tombstones in the vicinity of Širvintos. For the remaining unused ones - to build a monument to Sirvintos. 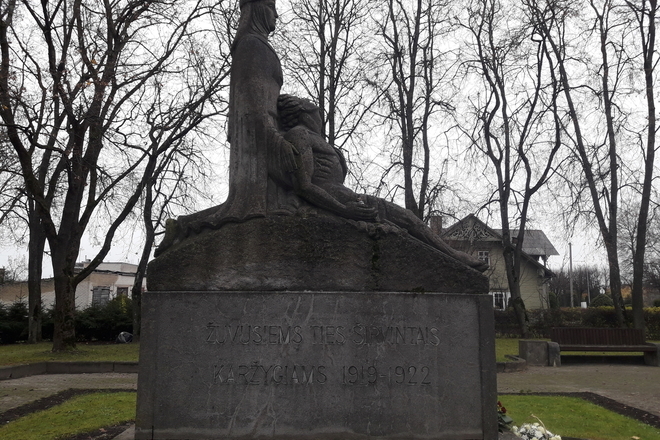 The monument to Lithuanian soldiers was unveiled on August 15, 1927, one of the first in Lithuania. The monument was then enclosed with a wooden fence, and during the opening ceremonies it was surrounded by a long grass crown that was hung on the high pillars. Gediminas' columns with the inscription "The dead in battle will live forever" from the grasslands. 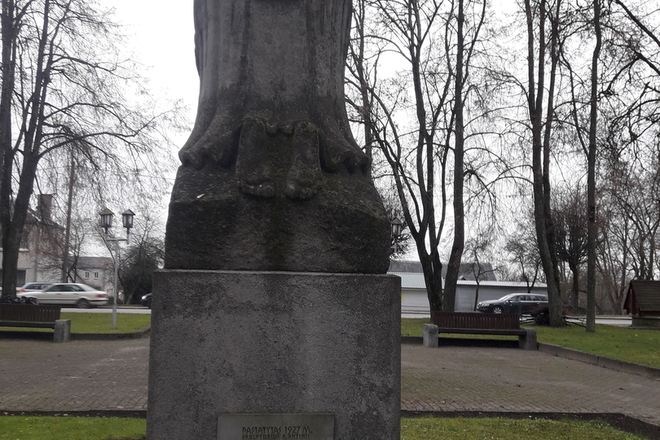 The author of the monument is the participant of the battle of Giedraičiai-Širvintos, sculptor Robert Antinas (senior). 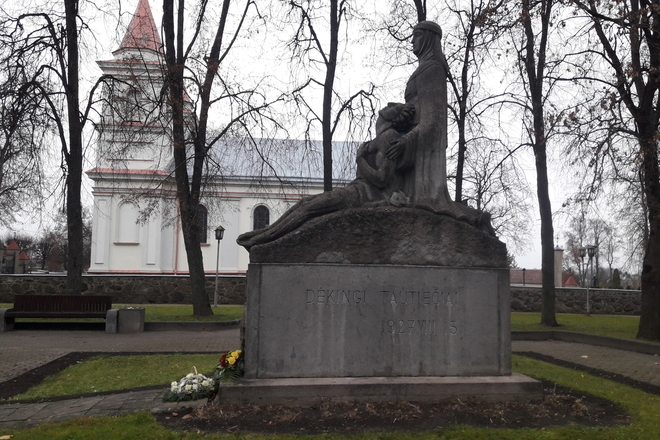 The monument of Lithuanian soldiers, created for Sirvintos, stands on the square near Širvintos St. Church of Michael the Archangel. 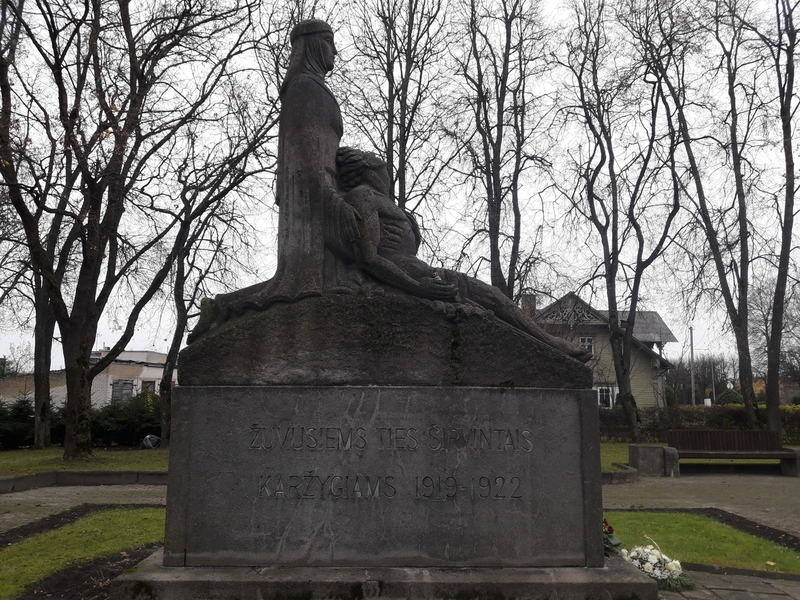 The sculptor portrayed a stumbling mother who holds her dying son. 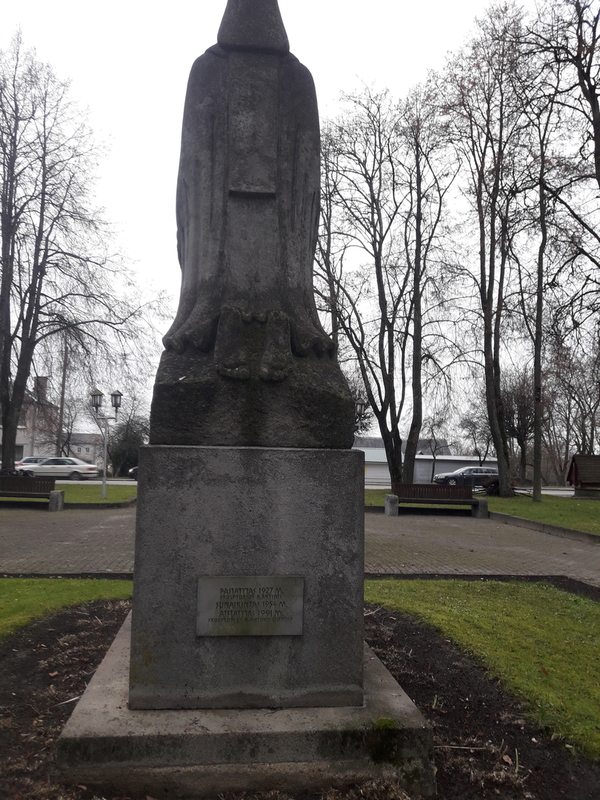 The sculpture is mounted on a rectangular post where the front plane has a cross, a shield with the Vytis Cross and a sword relief. 20th century In the middle of the monument was demolished. 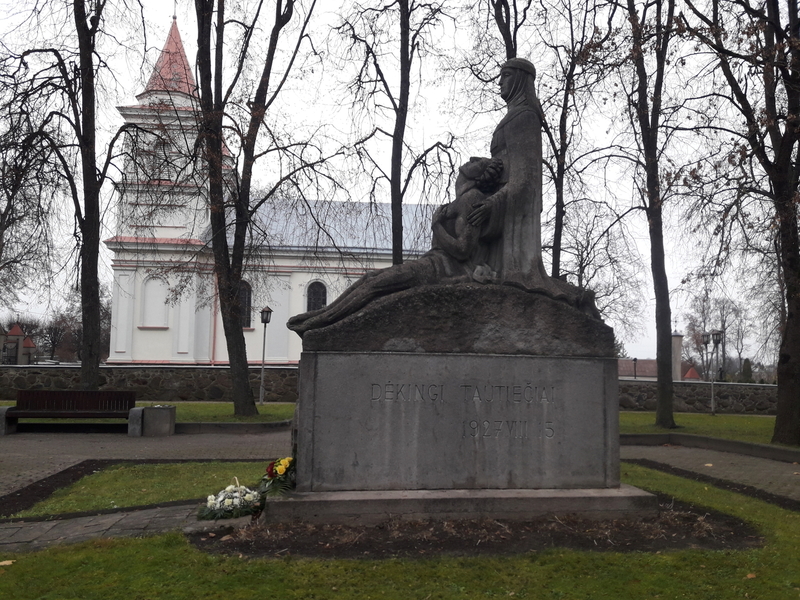 In 1991 The monument to the victims of Lithuania's Independence, rebuilt at the expense of Širvintai, was authored by Robert Antini (junior).